Use these Canopy Weight Bags to secure your car wash canopy. Each sandbag has 2 compartments. Each compartment can be filled with 25 pounds of sand. The velcro strap is used to secure and tighten the sand bags to each leg of canopy. 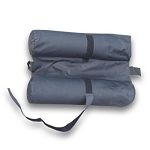 Sandbags are made of a durable nylon material (sand not included). 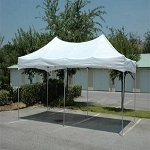 Detail King offers the best canopy's in the industry. Our 10' x 20' Car Wash Canopy unit is designed for trade show displays, motorsport coverage, catering and outdoor promotions. Detailers use this size unit typically for longer vehicles or where complete coverage is needed. 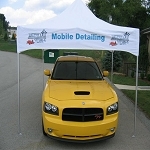 Detail King offers a portable car wash canopy for mobile detailing and car washing, which can be custom made with your company logo and other relative branding graphics onto the shade canopy.